Yesterday the crowding and the biggest Auto Expo 2012 has been started as the auto event of the country. In the Auto Expo 2012, both of the domestic and global car manufacturers are particapating in this event with the launch of new models at this season. Renault is yet again come up to the launch of new Renault Pulse car in India at the 2012 Auto Expo. Finally the Pulse has launched on today in the biggest event of the country. In a couple of months ago, the Renault Pulse hatchback has set our eyes at the first Indian F1 race. The hatchback of Renault Pulse is now available in two different variant of Renault Pulse RLX and Renault Pulse RXZ, the price of new Renault Pulse RLX is at Rs 5.77 lakh and the price of new Renault Pulse RXZ is at Rs 6.25 lakh (ex-showroom prices) respectively. The Renault India is also planning to offer 2+2 years of warrenty or 80,000 kms whichever goes first on the basis of car condition. Pulse is powered by the latest 1.5 DCi diesel engine, that will produce a 23.8 kmpl with a promising mileage by the company. The new Renault Pulse churns out 64 Bhp of a maximum power at 4000 RPM and 160 Nm of a maximum torque at 2000 RPM. Renault Pulse RXZ is blessed with the features of start and stop button, lock and unlock keys for a smart access, auto climate control and has a leather wrapped power sterring wheel and many more features. And the base model of Pulse RLX comes with features such as power steering, power windows, air conditioning, central locking and integrated audio system as well. 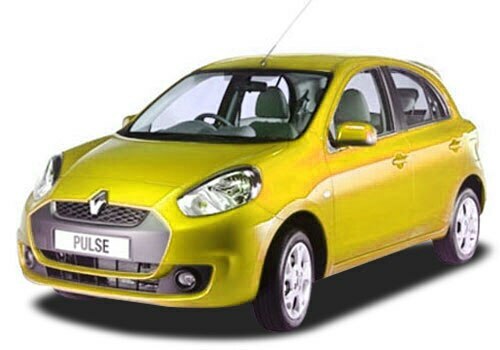 Renault Pulse is basically desinged on the same platform of Nissan Micra.